Have you got a rebellious doggo whose cuteness is starting to wear off in the wake off all the precious things in the house that keep getting chewed up? If your pup refuses to listen to commands, won’t come when called, or is fiercely protective of its toys, then you’re in the right place because we’re about to break down one of the most straightforward yet astonishingly effective training methods for creating happy harmony between you, your dog and your household. This epic training technique, suitable for dogs of all ages, is known as “nothing in life is free.” A big part of what makes the “nothing in life is free” technique so effective is the fact that it is not targeted at a specific behavioral issue. 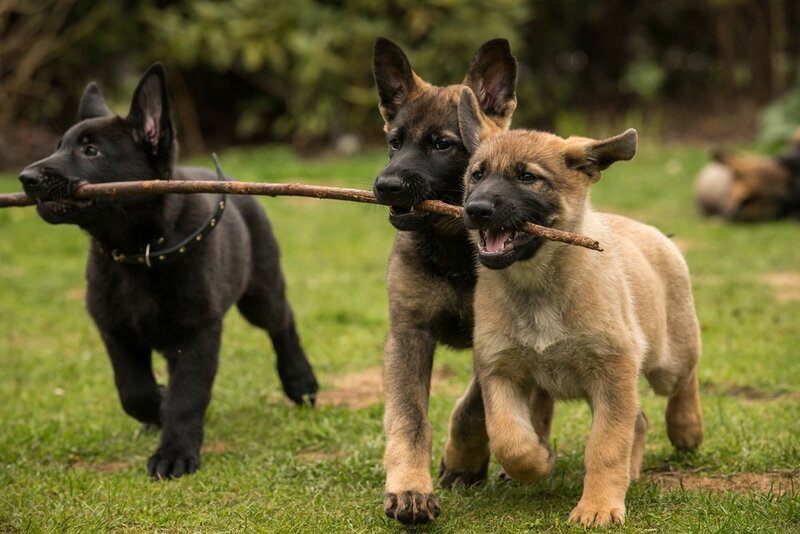 Rather, it introduces you and your dog to a way of cohabiting that installs you as the trusted leader while confirming the pup’s place in your pack. Knowing its place in the pack (aka your family) is vital for your dog’s peace of mind and will result in a calm and more obedient demeanor. 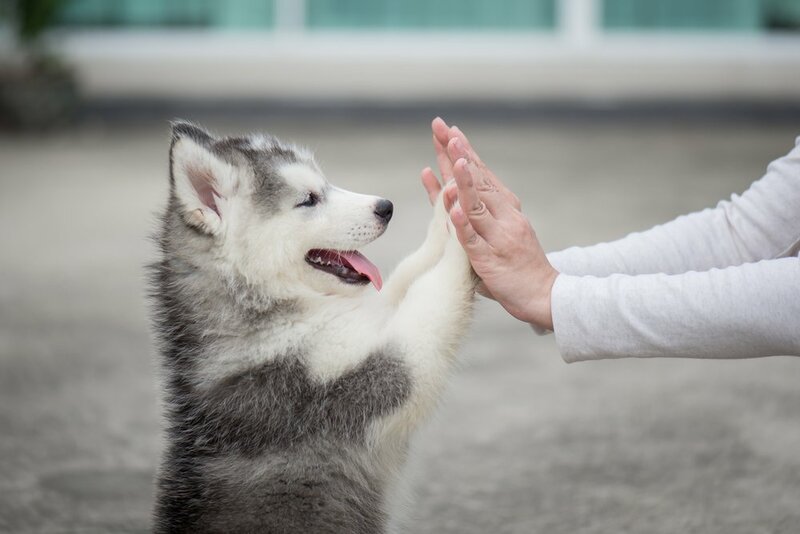 This training technique is built around positive reinforcement which you will use to teach your dog a key set of commands and some fun tricks. While “sit,” “stay,” and “down” are essential dog-owner commands, it’s equally important to have fun with tricks like “shake,” “roll over,” and “speak.” Choose a few, or all, of these commands to work with. Then, before giving your dog anything resembling a treat (think food, walks, and affection) ensure it carries out one of the tricks or commands. This is how your pup learns that nothing in life is free. For you to take me for walkies, I must sit like a good boy until leash is on. For you to give me the treats, I must sit and stay until you say I can eat. For you to play fetch with me, I must sit and shake hands. For you to give me a belly rub, I must drop and roll over first. The key to making this work is to never give your dog the treat it’s yearning for until it’s followed your command. If your pup is particularly stubborn, simply walk away and return a few minutes later to give it another go. Of course, it is important to be patient, keep showing the cute little critter what it needs to do for each command and, when it finally cottons on, follow through with its reward and a generous helping of love. What are the benefits of this dog training technique? While many dogs sum people up and immediately assume a submissive role, some alpha pups aren’t so easily subdued and will put up a challenge to their owners for dominion over the house. When these dominant pups are made to work for everything they want, the power dynamic is clearly established without the need for discipline or confrontations. It’s important to note that this alpha behavior doesn’t always come out as growling, snapping, snarling and aggressiveness. If your dog is affectionate to the point of being pushy, if people describe it as “full on” when it jumps up to greet them, and even if it constantly nudges you for head pats or worms its way up to spoon with you in bed, this behavior is indicative of a dog who’s manipulating its way to the top of the pack. Here again, the “nothing in life is free” training technique will teach the pup that you’re the one in charge. Even fearful dogs will become more chill as, quite often, their anxiety stems from fear that they may be expected to lead. With a clear, strong leader in place, these placid pups can let go of their fears and let their loving personalities shine through. Why is this dog training technique so effective? Dogs are pack animals and their social structure is essential to their survival, both as individuals and as a species. Known as a “dominance hierarchy,” the canine way maintains order by cutting down on conflict and encouraging cooperation within the pack. While your dog will conform to your human ways to a certain extent (and with a whole lot of adorable head tilting and curiosity), you can’t fight centuries of inbuilt instinct. So, to ensure harmony in your household, it’s best to understand your pup’s hierarchical predilections and establish yourself as the alpha of the territory. Just as important as your own alpha status is the position of your children within the hierarchy. Since kids spend a lot more time down on your dog’s level, it’s easy for the pup to consider them playmates, which is all fun and games until someone gets hurt. Getting kids to also practice “nothing in life is free” won’t curtail the fun but will ensure your family dog learns that they are also superior members of the pack. I The fur industry and their breeding factories are said to be the ones that over breed the animals the most. They use all kinds of techniques and technology to alter the genetic activity of the animals to produce desired results. II The USDA has done many things in the favor of Animal Rights Activists, but the one thing they have not done happens to be the hugest pain in their cause; the fur coat industry. III Since the Gallup poll had in 2001, people\'s reserve about the making, buying and wearing of animal fur did not really change till 2010. The Gallup poll in 2010 revealed that 60% of the participants did not feel it was wrong, while 35% felt that it was. IV The hogs that are grown by factory farming live through their lives suffering both physically and emotionally. They are forced to resign to boredom and imprisonment, while struggling to breathe due to the ammonia from their own waste. V A sow is also restricted to stay in a cage and on a spot, called the gestation crate. So, it can not move forward or turn around all its life, and it has to urinate and defecate at the same spot all its life, which is about 2 to 3 years before slaughter. VI Hogs are bred for meat. So to make sure they are not building muscles, they are confined in pens where they can not move around, so that they will only build fat and grow soft meat. They are also injected with different things to make them grow fast and stay healthy. Interest in sharks have risen over the past month, thanks to Shark Week’s culmination on Discovery Channel, and the release of The Meg, a Hollywood movie about a prehistoric shark’s..
How would you feel if you suddenly find a horse inside your basement after you arrive home from work? This is exactly what confronted a woman from Inver Grove Heights in Minnesota..
Queen Elizabeth II is known not only as a fair leader, but also as one with a great affinity towards animals. As if having a pack of corgi's isn't enough, she is also a proud guardian..